becoming a reality. HP and Leap Motion are partnering together to create the newest and latest computer technology that will revolutionize computers in the same way that the mouse and touch screen technology has. Leap Motion is a young company; it is only 3 years old with fewer than 100 employees that manufacture sensor units that are no larger than a pack of gum. These units are said to be able to track the movements of 10 individual fingers with pinpoint accuracy. HP is partnering up with Leap Motion and providing these sensor units with each HP PC that is sold in order to attempt to boost sales. HP’s PC sales have been suffering more than ever due to the popularity of mobile devices and tablets; thus, HP hopes that these new motion sensors will put their product ahead of the curve and recover their sales loss. Currently, these motion sensors simply plug into PC’s and interact with the necessary apps and programs that utilize motion sensor technology. 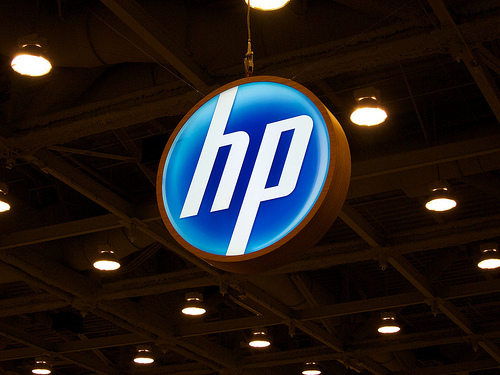 However, HP plans to eventually have the sensors permanently embedded into each PC. This motion sensor technology can, and will, provide benefits for more mundane things, such as gaming (Kinect has already started to implement similar technologies) but also for business and personal gains as well. As this technology popularizes with PC’s, we will most likely see the motion sensor technology make the leap from computers to mobile devices, tablets and more!